Super soft thin knit interchangeable. 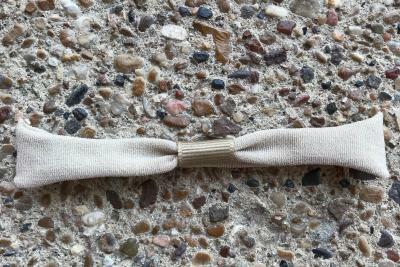 All you do is add your own hairbow underneath the loop. A great look for babies and toddlers with a little hair. Band measures 1/4 inch wide and 8 inches in circumference but stretches to adult size head! Now Comes in 10 great staple colors!